Royal College of Art graduate Matteo Bandi has invented a series of objects that only work when connected to a smartphone, to help us live in the moment. 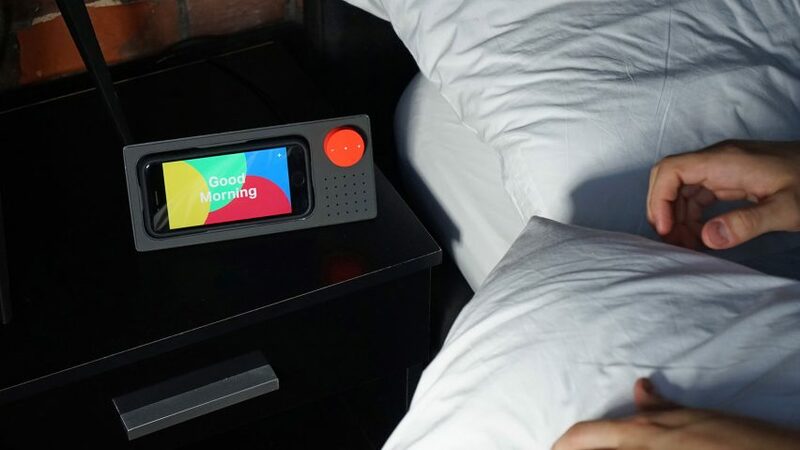 Called Sidekicks, the objects include an alarm clock, projector, speaker and lamp. Each Sidekick will only function when the user’s smartphone is plugged into them and left alone. As soon as the user tries to interact with the device, the objects cease to function. 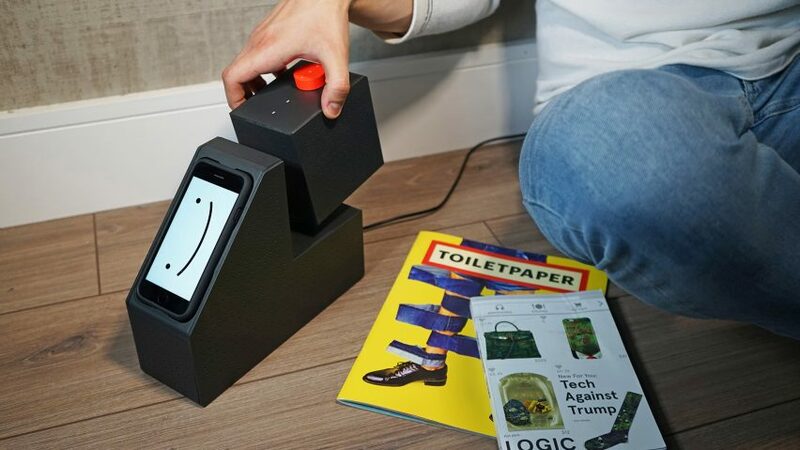 Bandi, who is a graduate of the Royal College of Art’s MA Design Products, selected these particular objects as they are used at times when smartphones can be particularly distracting. 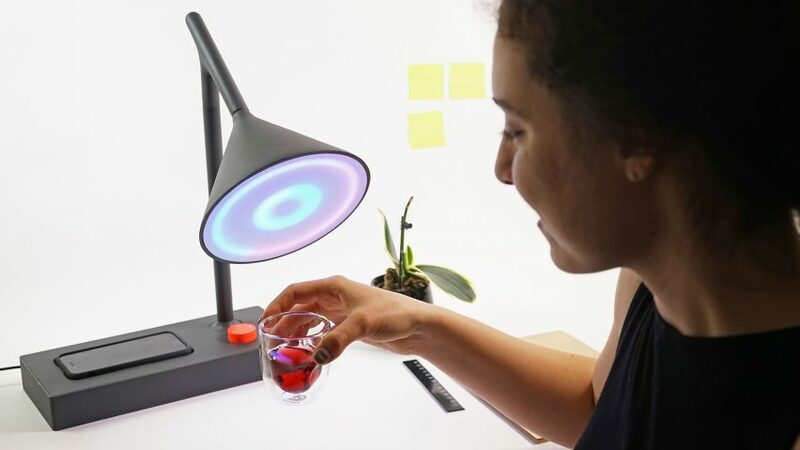 The lamp can be used to aid focus when working at a desk and the speaker is designed to be used for leisure time when devices can interrupt relaxation. 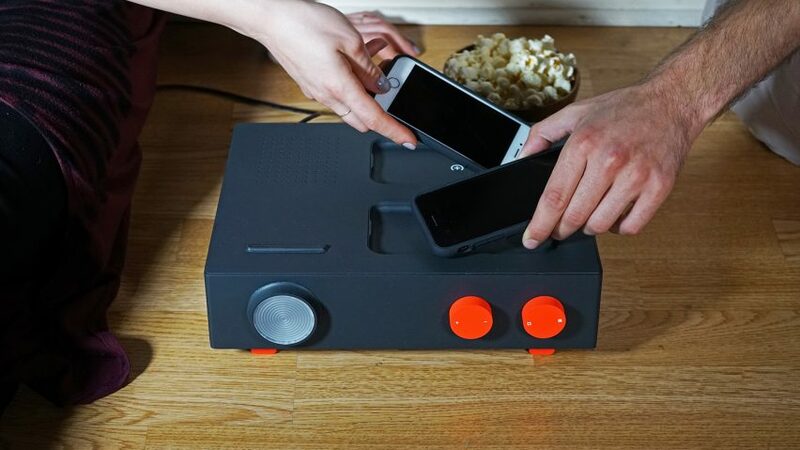 The projector helps avoid the distraction of a glaring screen when watching a film with someone and the alarm clock is designed to be used at the end of the day when smartphone usage has been proven to disrupt sleep patterns. “Rather than creating a new device or establishing a new behaviour to keep us away from the phone, existing objects were re-designed with a particular feature: none of them has an on/off button; instead, they can only function whenever we physically leave our phone to them,” explained Bandi. “More and more people everyday are willing to reduce the impact phones have on them, but it often turns out to be harder than expected,” he continued. 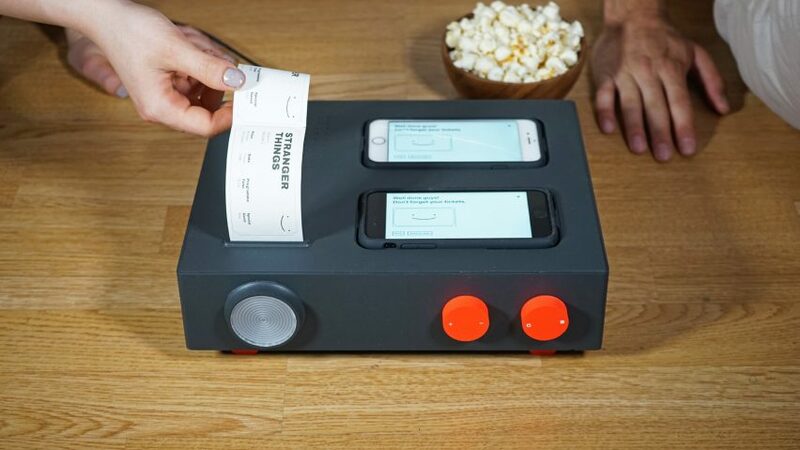 The four objects are controlled with an app, which is activated when the user’s device is plugged into one the objects. When plugged in, users are shown the amount of time they have spent using their phone that day. Based on this information, they can then set themselves a target by selecting how much time they wish to spend without interacting with their device. If they reach the target they set for themselves each object will “reward” their self-control with a special hidden function. For example, the projector will create a customised print of you watching the movie with someone and the desk lamp will celebrate your success with a colourful light animation. 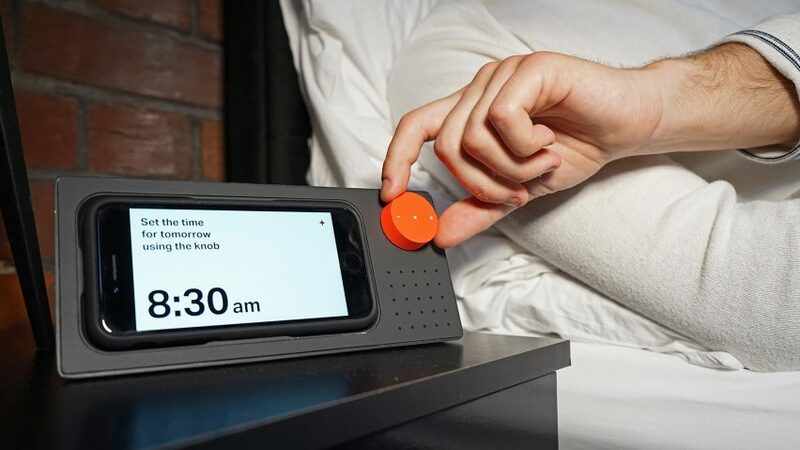 Using a laser beam, the alarm clock will project a moving pattern on the ceiling to help set the ideal breathing rhythm for sleeping; and finally, the speaker unlocks a detachable section that allows it to be used as a portable speaker that can be carried around the house. Bandi told Dezeen that testing carried out on the objects in the early stages of prototyping helped to inform the final design. “Originally the objects were designed to almost ‘punish’ users in the case of excessive phone usage,” he continued. “The workshop helped me understand that they would be much more attracted if the objects were rewarding the success rather than punishing the failure. Because, who wants to be punished?”, they said. Bandi is not the first designer to try to tackle smartphone addiction. In 2017 designer Klemens Schillinger created a set of therapeutic phone-like objects, to help smartphone addicts cope with being away from their devices. Similarly Serbian studio Alter Ego Architects designed a concept for a 3D-printed mobile phone with an interface that only features numbers and symbols, and has no apps to prevent users acting like “mindless zombies” while on their devices. Photography is by Arash Nouruzi.